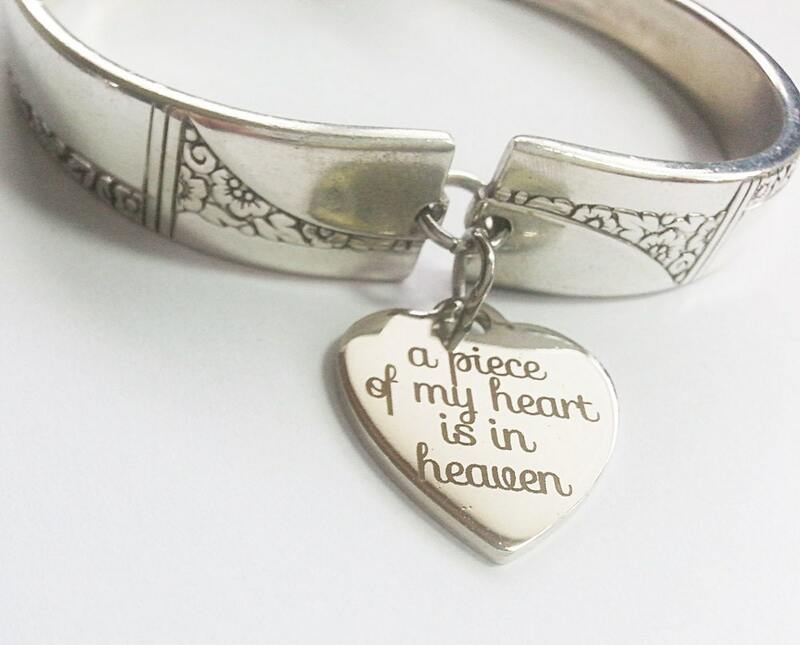 Vintage spoon made into a lovely bracelet with a charm which reads, "A piece of my heart is in Heaven." The upcycled silverware is in Caprice pattern, vintage 1937. The silver heart shaped charm has been added at the top of the wrist with the words inscribed, A piece of my heart is in Heaven. Great gift for a special memory of a loved one gone. 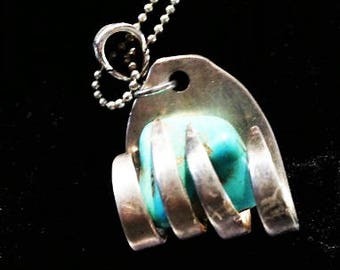 Mother's day gift which offers ready to ship option and free shipping and gift box. Closure is a very strong rare earth magnet. Medium size, fits between 6 - 7" wrist. Magnets should not be worn with pacemaker.